Conveniently Purchase All-Natural Lamb Wholesale For Resale And Commercial Purposes. Mild Flavored Meat Without A Strong Mutton Taste Delight Restaurateurs And Discerning Chefs. Chosen for their muscling, heartiness, forage utilization, excellent meat qualities, and good mothering instinct, White Dorper sheep have a mild flavor without a strong mutton taste. The all-natural lamb products produced from Weavers Sheep Farm boast a flavor sought after by restauranteurs and home cooks alike. The lamb sausage contains no MSG and no added nitrates or nitrites. Purchase USDA Inspected Lamb Year-Round. In our storefront or through regional meat delivery, we invite you to purchase farm-raised gourmet lamb wholesale year round. 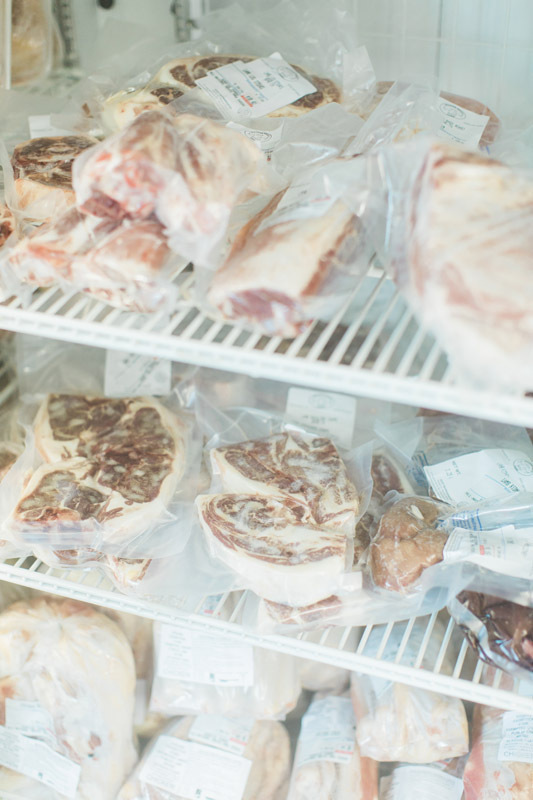 All-natural lamb products are sold frozen to maximize storage and use. For larger wholesale purchases, please call ahead to assure your order is ready for pick up. Local to Sunrise Farms, Weaver Sheep Farm operates under the same values as their neighbors, emphasizing strong customer service, the ethical treatment of animals, and use of non-GMO feed to support healthy growth. Regional Meat Delivery Offers A Convenient Supply Of All-Natural Lamb. 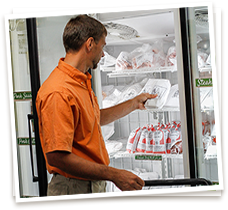 Schools, colleges, restaurants, grocery stores, and other wholesale customers enjoy the added convenience of meat and egg delivery. 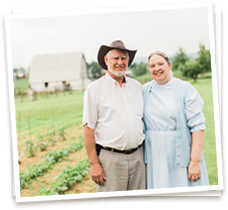 For regular supply of all-natural non-GMO lamb, Sunrise Farms arranges regional meat delivery through Shenandoah Foods. We do not ship all-natural meat. Contact Us To Purchase Non-GMO All-Natural Lamb Wholesale Today.